B Communications Ltd. is an Israeli corporation focused on the telecommunications industry. Its shares are traded on the Nasdaq Global Market and the Tel-Aviv Stock Exchange under the symbol BCOM. B Communications Ltd.’s asset is its controlling interest (approximately 26.34% ) in Bezeq The Israel Telecommunication Corp, Ltd.(TASE:BZEQ), Israel’s incumbent telecommunications group. Bezeq is Israel’s largest telco group with a clear leadership position. It is active in Israel’s mobile voice, internet services, international long distance (ILD) services, multichannel pay TV and other segments. Bezeq’s shares are traded only on the Tel-Aviv Stock Exchange. The fact that the shares of BCOM, Bezeq’s controlling shareholder, and IGLD, BCOM’s controlling shareholder, are listed on the Nasdaq Global Market, positions BCOM and IGLD as vehicles for U.S. investors interested in making an investment in Bezeq. B Communications is an approximately 51.95%-owned subsidiary of Internet Gold, Internet Gold’s shares are traded on the Nasdaq Global Market (Nasdaq: IGLD) and the Tel-Aviv Stock Exchange (TASE: IGLD), and its share price is tracked as part of the TA-100 index. 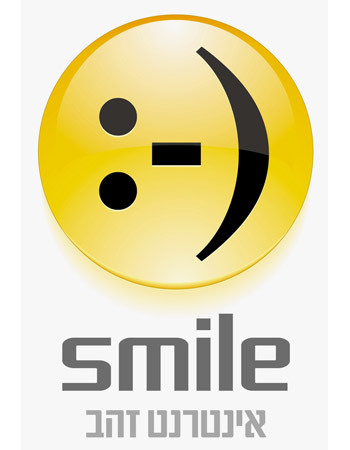 Prior to April 2010, B Communications Ltd. operated under the name 012 Smile.Communications. The company was an early Israeli provider of ISP and ILD services. Established in the 1990’s and originally operated under the name Internet Gold. In 2006, the company expanded significantly and was restructured as a result of its acquisition of 012 Golden Lines and its subsequent merger into Internet Gold’s Smile Commmunications subsidiary. The company carried out a successful IPO on the Nasdaq Global Market in November 2007 and started trading under the symbol SMLC. Shortly thereafter, the company registered its shares for dual listing on the Tel-Aviv Stock Exchange. In October 2009, the company signed a share purchase agreement for the acquisition of the controlling interest (approximately 30.98% ) in Bezeq from the Apax-Saban-Arkin group. To obtain the regulatory approvals required to close the transaction, the company divested its legacy telecommunications assets in early 2010.